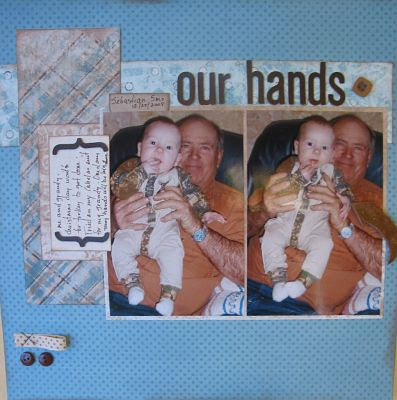 It is time for kit of the month (KOTM) at ACBailey Designs. I had such a fun time working with snow flakes!! I used one on a lay out and that left me with 5 snowflakes. 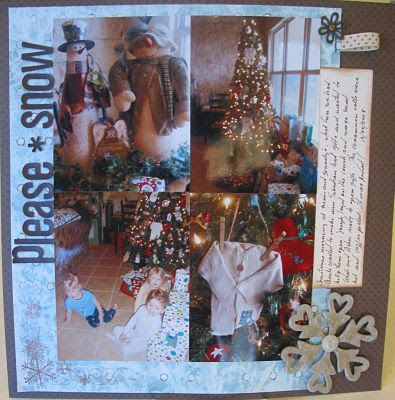 We don't get snow where I live - so what I'm I gonna do with 5 chipboard snowflakes? 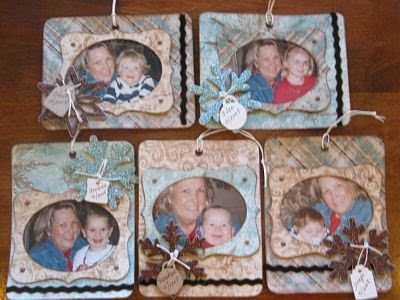 Ah, but I have 5 grands ( grand children) so I made picture frames for next years tree. They turned out so sparkley and pretty! Just like I imagined they would. 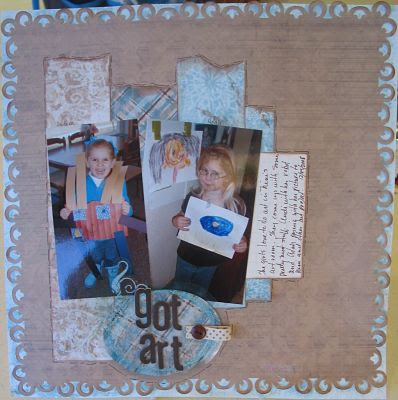 Get on over to WWW.ACBaileyDesigns.com and get your Jan KOTM in the mail! Have a great day and go make something- you will feel better.